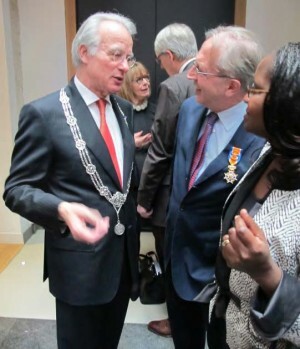 On 26 April, 2013, Robert Soeters, overwhelmed and blushingly accepted a Royal decoration from the hands of Mayor Jozias van Aartsen of the Hague in an annual public ceremony colloquially called the lintjes regen (the decorations rainfall). He became an Officer in the Order of Oranje Nassau (OON). A close group of friends, colleagues and members of family had organized and requested the nomination without Robert’s knowledge, and had lured him from Africa (where he is mostly found) to The Hague (where he sometimes resides) for a work meeting after which he was ushered in front of the decorating official. Robert has worked his entire professional career with passion on refining a sophisticated public health intervention that has gained currency as ‘Performance-based financing’. Please join us in calling Robert from now on ‘Sir Robert’! SINA Health aims to improve the health and educational status of the population in low- and middle-income countries. 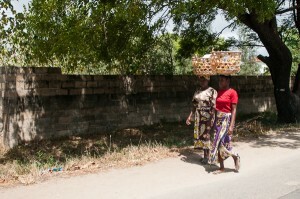 The ideas that created SINA Health go back to the 1980s and 1990s in Mozambique and Zambia. In 1998 SINA Health was created and started working with partners such as Cordaid, the World Bank and private organizations in developed and developing countries. An important inspiration was the World Development Report 1993 of the World Bank. It introduced the rationalization of health packages, incorporating market principles, involving the private sector and contracting and this became the basis for performance based financing. From its outset, SINA Health helped to conceptualize the reforms by conducting household studies & action research, writing scientific articles, developing technical PBF instruments and training. Conducting baseline, feasibility & evaluation studies by organizing household surveys, health facility mapping exercises and quality reviews. Organizing short and 14-day PBF courses in French or English in Performance Based Financing. The short courses often aim at decision-making processes on reform processes at national level. The 14-day courses provide participants with a comprehensive insight into PBF theories, best practices, PBF instruments and change issues. Conducting support missions in PBF and health reforms. SINA has worked in over 40 countries and supports on average approximately 8 countries per year. Dr Robert SOETERS, Dr Godelieve VAN HETEREN and Claire RWIYEREKA for the English courses and Dr Jean Claude TAPTUE, Dr Jean Pierre TSAFACK, Dr. Christophe DOSSOUVI, Dr Joseph CATRAYE, Ibouraïma AOUDI Celestin Kimanuka for the French spoken courses. Would also like to mention all the colleagues and friends in the World Bank and in particular Dr Gyuri Fritsche, with whom we continuously struggled on this PBF journey. And of course Maggy Soeters, who supports SINA from the home front.